BUFORD, Ga. – Spring weather is fickle, as the field on Lake Lanier has discovered in the season-opener for the Bass Pro Shops PAA Tournament Series presented by Carrot Stix. Gorgeous spring weather and warm temperatures the last few weeks have given way to persistent rains, thunderstorms and high water on Lanier. Practice began Monday morning for the tournament that begins Thursday out of Sunset Cove at Lake Lanier Islands Resort. 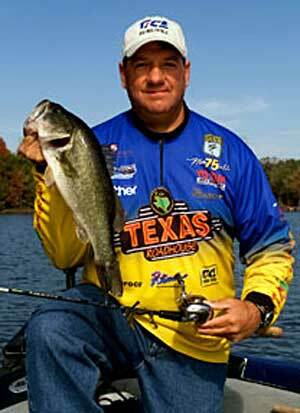 Lanier is setting up for a top tournament, with water temperatures in the mid-50s and fish staging to spawn. Reports from local anglers and guides have spots and largemouth in various stages of the pre-spawn, spawn and even some post-spawn activity. Tournament Series pros should find a variety this week. At stake is cash and a new Nitro Z-8 outfitted with a Mercury 225 and T-H Marine Atlas jackplate. The angler with the biggest bass of the tournament will be awarded a new Humminbird 898c Si Combo sonar unit, and the angler with biggest bass of the season will win a new Minn Kota Talon shallow water anchor. An extra $9,500 is available to eligible pros who take advantage of contingency programs from Bass Pro Shops, Optima Batteries, BoatU.S. Angler, Power-Pole and ProPatterns.com. Morning launches will go out of Sunset Cove, with the first two days’ weigh-ins at the site. Launches begin at 7 a.m. and weigh-ins at 3 p.m. The field will be cut to the Top 20 for the last day, with the final-day weigh-in will be held at Bass Pro Shops in Lawrenceville starting at 4:30 p.m. Fans also are invited to attend Registration Day and free seminars from the pros on Wednesday, March 30, at Bass Pro Shops in Lawrenceville from 3:30-6:30 p.m. Rain pushed by a cold front from the Midwest moved through the area over the weekend, dropping temperatures to about 50 during the day. The forecast for the week from The Weather Channel calls for The weather forecast for the week calls for highs of about 60 during the day, lows in the low 40s and an 80 percent chance of thunderstorms on Wednesday. Rain chances are lower toward the end of the week, but that means post-frontal conditions. Lanier’s deep, clear water will be rocking with releases through Buford Dam to move the rainfall on through the Chattahoochee River. Lake levels are at or near full pool, and instead of tough clear conditions the pros may find stained water on the lake and muddy or dirty creeks. That could elevate the topwater, jig and crankbait bite – lipless and square-bill – as opposed to finesse tactics or jerkbaits. With more than 38,000 acres of water and numerous coves, points and structure to pick apart, DelVisco believes it could be wide-open this week. Final day launch/weigh-in: Launch at 7 a.m. at Sunset Cove, weigh-in at 4:30 p.m. at Bass Pro Shops, 5900 Sugarloaf Parkway, Lawrenceville, Ga.